Do you know the difference between hunger and food insecurity? Wondering what you can do in your community to lend a helping hand to people in need? 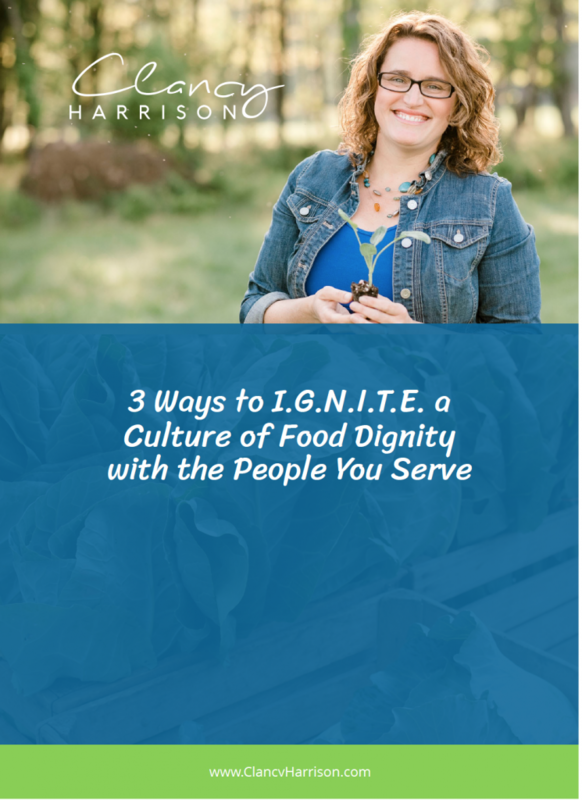 My guest this week is #FoodDignity advocate and dietitian, Clancy Harrison, MS, RDN. 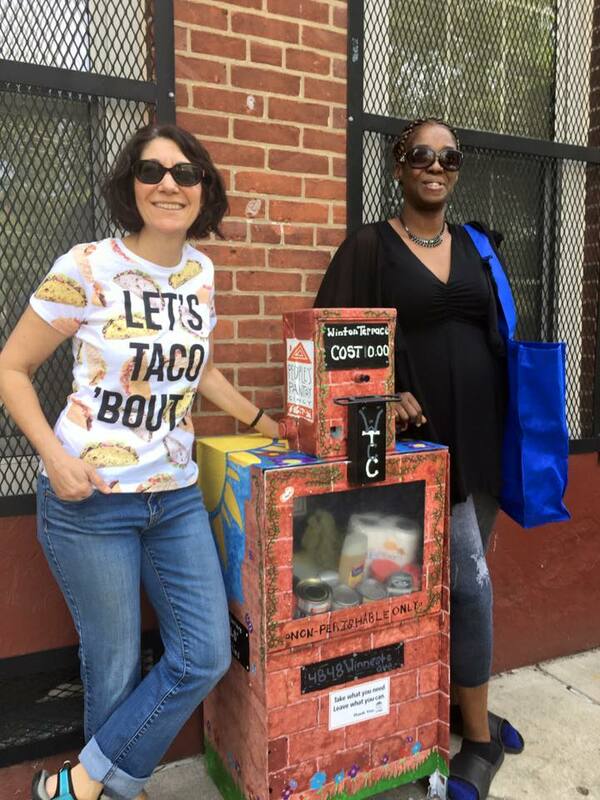 She’s on a mission to remove the stigma associated with food stamps, WIC, and other food assistance programs (she sees these programs as a hand “up” versus a hand “out”) and improve the quality of the food provided. Clancy Harrison, MS, RDN shares her mission to bust the stigma surrounding food assistance programs. Clancy defines hunger as something everyone can feel at any time when you don’t have enough food and defines food insecurity as not having enough food to curb the hunger, or you’re eating poor quality food choices that lack nutritional value. 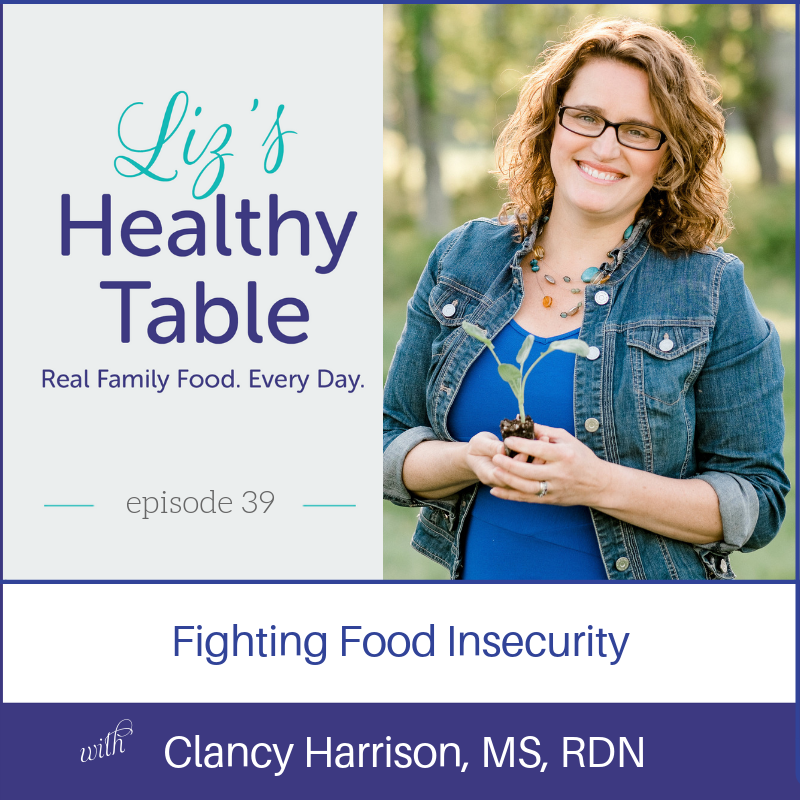 Liz and Clancy discuss the health/psychological consequences of not having enough to eat and Clancy asks you to imagine putting your child to bed hungry and how stressful it would be to worry every day how you’ll feed your child. Psychosocial feelings associated with not eating enough nutritional food particularly affect children negatively and may even prevent them from participating in sports or school activities. 58% of people who are food insecure live above the poverty rate. The majority of people who use food stamps are the working poor. Clancy talks about working at a food pantry and how it enabled her to talk to people who were food insecure and discover how embarrassed they often feel when accepting food assistance. Clancy discussed how volunteers at the food pantry were reluctant to take extra food and how they eventually accepted food and began sharing recipes with one another. 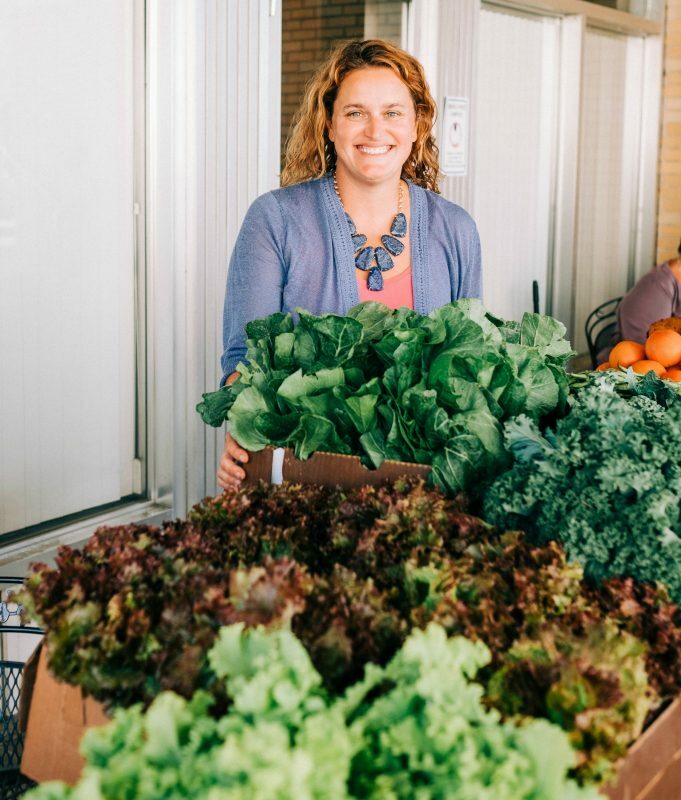 Liz shares about a dietitian in Cincinnati named Lisa Andrews who won a $10,000.00 grant to set up 10 mini food pantries around the city. The program is called, the People’s Pantry Cincy. In 2017, one in five families in the US did not have enough food and one in three chronically ill adults have to choose between food, medicine or both. Clancy and Liz discuss whose responsibility it is to take care of those who are food insecure. Obese and food insecure? Clancy says they do co-exist because people may be purchasing poor quality food or may be sedentary because they can’t afford to join a gym, etc. Clancy suggests taking plastic grocery bags to food pantries so they can use them to distribute food. She also suggests donating canned foods with flip-top cans so they’re easy to open. 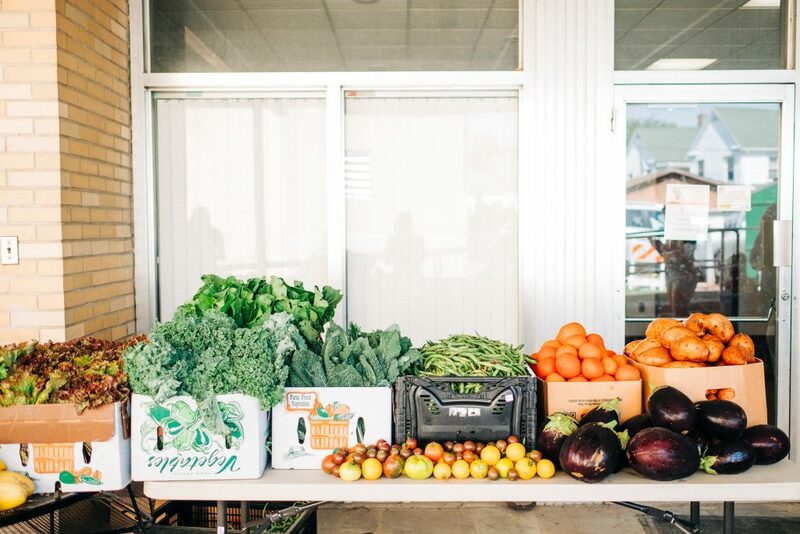 Here is how YOU can get involved: Examples of food assistance volunteer opportunities in communities across the U.S.
> Podcast Posse member, Yvonne C. is involved with a program called, Community Food Rescue in Montgomery County, Maryland. Their motto is, Donate, Deliver, Feed. They get surplus food delivered to places that can use it. The goal is to help feed more and waste less. Feeding America. Lists food banks in your area. Liz’s Healthy Table Podcast Episode 49: Probiotic Supplements (Part 2) with Anthony Thomas, Ph.D.
Liz’s Healthy Table Podcast Episode 48: Probiotic Supplements (Part 1) with Anthony Thomas, Ph.D.